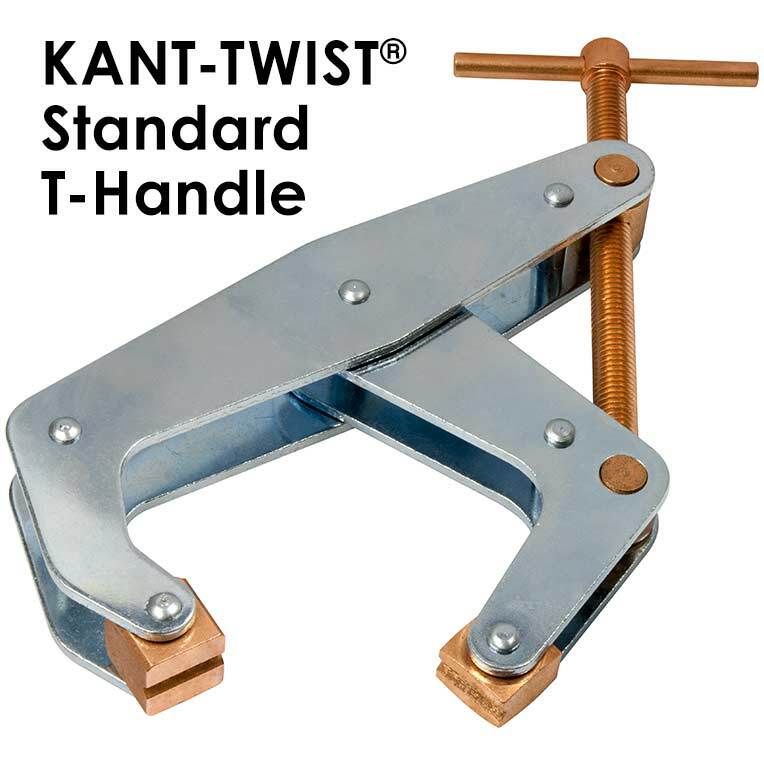 Kant-Twist® Cantilever Clamps offer several advantages over standard C-Clamps - they're lighter, stronger and won't walk-off center. 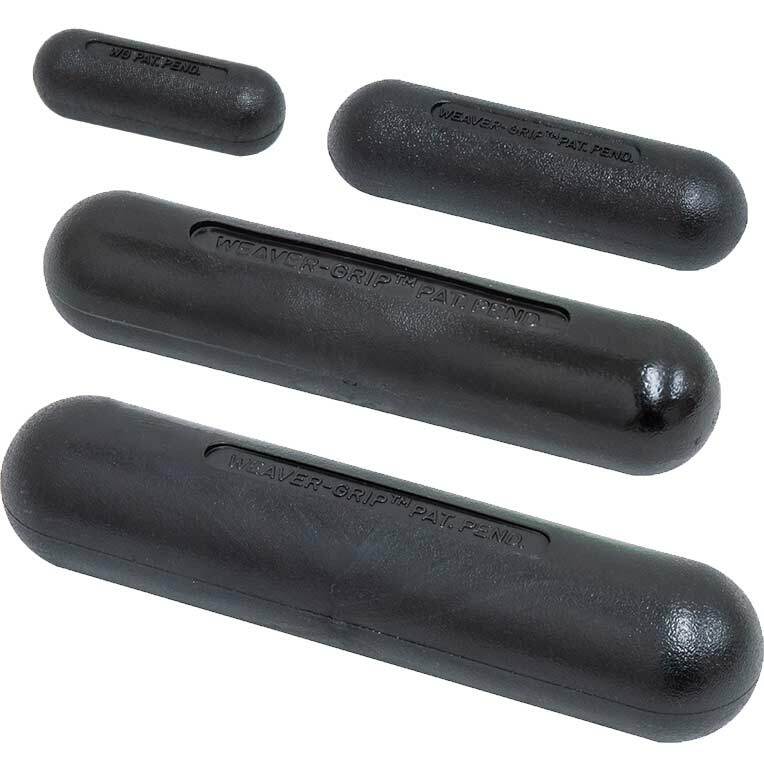 Perfect for spot welding, drilling, bolting - or anywhere you need to hold two pieces firmly together. Available with Round or T-handles. Stailess steel T-handle models available. 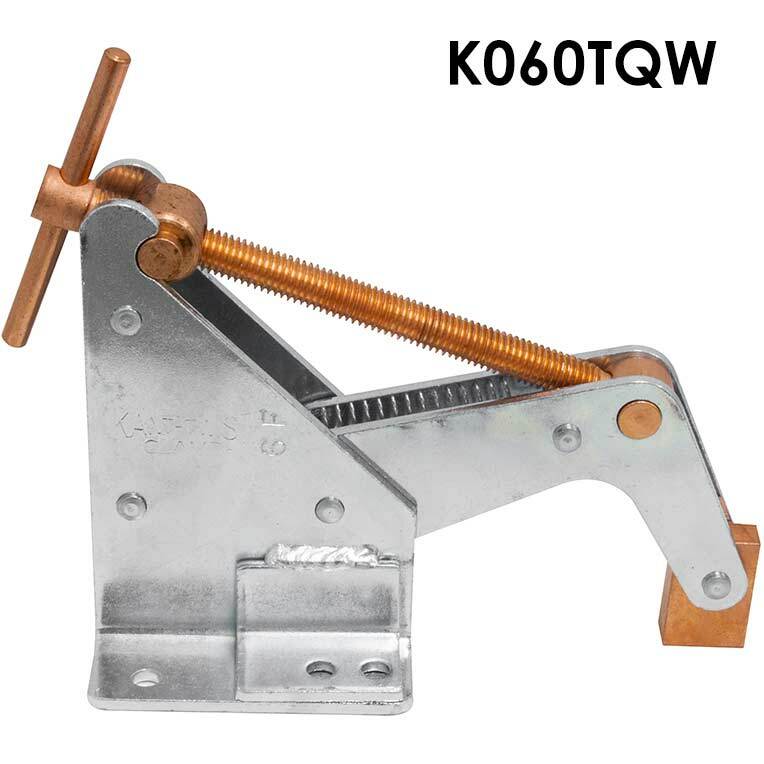 USA Made, Kant-Twist® quick-acting hold down clamp with a spring tension jaw that provides holding parts quick and easy. Best for holding where thickness and surface are not exact from part to part. 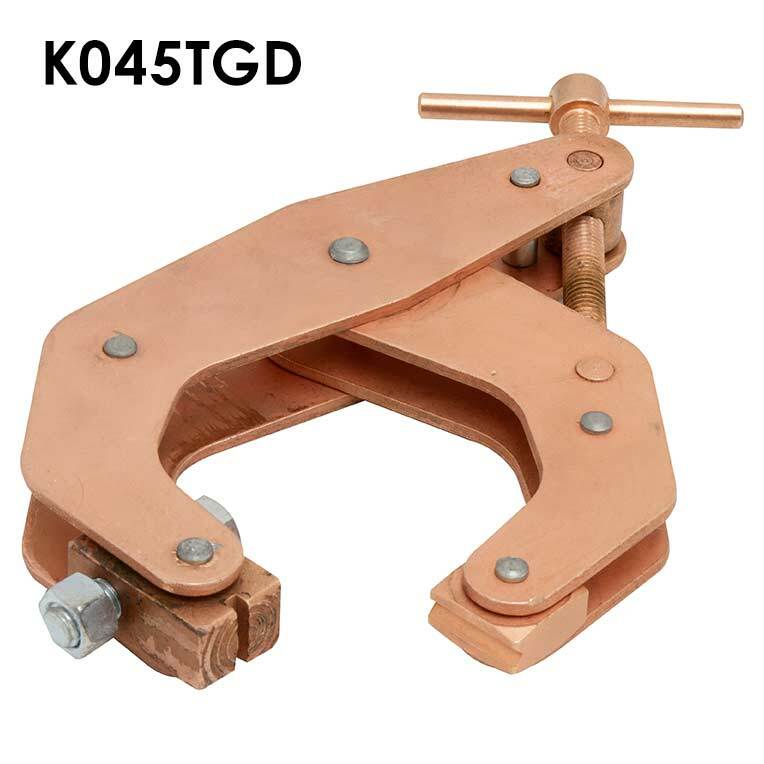 This two-in-one tool is a clamp that features a weld ground on one of the clamp's jaws to provide welders a quick and easy part securing setup. Weaver-Grips™ are a high quality handle accessory for our Kant-Twist® T-Handle Cantilever Clamps that provide a more comfortable grip and operation operation when when the clamps are used frequently.